Tell Pluto everything. Don’t be shy. Pluto wants to know all your body’s dirty little secrets. Pluto wants to know your favorite position. Pluto wants you to fall asleep with your head on it every night. 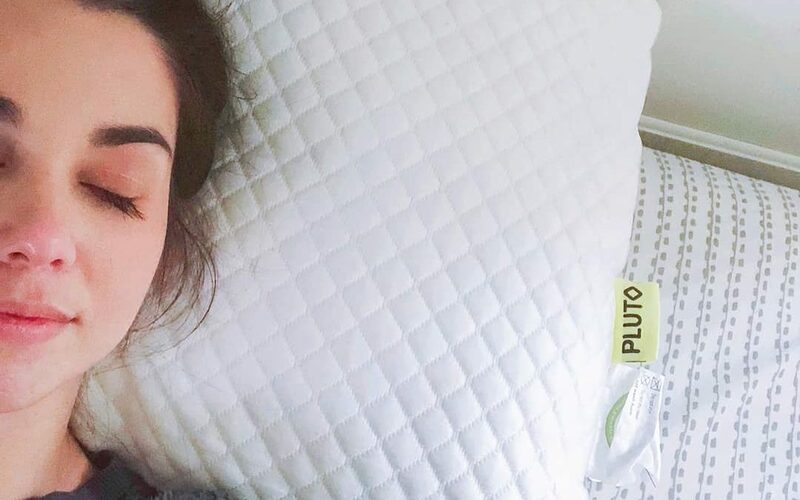 For $89, Pluto will collect all kinds of personal data on you and mail you a customized pillow it claims can give you the perfect night’s sleep for your body and sleep habits. Is it worth it? Pluto says all of your answers remain confidential. Still, an email address is required, you’ve got to pay somehow, and both of these data points are linked to biometric data you provide through a questionnaire, some of which could be deemed fairly personal like height and weight. That being said, the pillows sound amazingly comfortable. Pluto pillows have three layers: a firm inner core to provide structure and support which is designed with customers’ bodies in mind; an outer layer made of polyester microfiber adjusted for customer’s firmness preferences; and a cover designed to cool sleepers’ heads. Pluto has applied for a patent for their customization and fabrication methods, which can create 25 different combinations suited for a wide variety of sleepers. Like most online sleep product manufacturer/retailers, they offer a 100-day free trial. Each pillow also comes with a three-year warranty and is handmade in the U.S. While these pillows truly sound wonderful, they reflect a somewhat worrisome trend of Big Data merging with the sacred, private act of sleeping. Wearable smart devices are beginning to track and record all types of biometric health data in the name of sleep tracking. What will be done with that data? In whose hands might it end up without consent? Facebook has even jumped in on the sleep data collection game, and we all know what kind of shenanigans they get into with users’ data. Is it worth it for a pillow built for you? Is personal data collection even avoidable anymore?